Our developers have been busy adding more time-saving features to Automated emails (available if you use SuperControl PLUS or AGENCY). To take a look, login to your SuperControl account and go to Emails/letters > Automated emails/SMS. The design has been updated:� We’ve listened to your feedback and given the page a makeover. You can choose the type of booking the criteria schedule is applied to:� It’s up to you how many you select. Add up to 4 Schedule criteria:� You are no longer limited to one rule, so now you can be even more specific about when a message is generated. 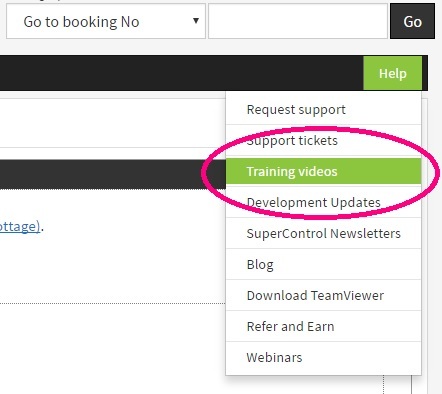 If you are not using this feature yet, to get up and running take a look at the training video (Emails/letters) which you’ll find in the Help section of your SuperControl account. Not got a SuperControl account yet?